Navy Chief Warrant Officers (CWOs) are technical specialists who perform knowledge and skills of a specific occupational field at a level beyond what is normally expected a Master Chief Petty Officer (E-9). The Chief Warrant Officer Program provides commissioning opportunities to qualified senior enlisted personnel. Chief Petty Officers (E-7 through E-9), and E-6 personnel who are selection board eligible for E-7 may qualify for this program. In addition to the CWO program, the Navy has a Limited Duty Officer (LDO) commissioning program for senior enlisted personnel (and CWOs). (Note: LDOs are technically oriented officers who perform duties in​ specific occupational fields and require strong managerial skills). The LDO and CWO Programs are open to both active duty and Selected Reserve (SELRES) personnel. Qualified personnel may apply for both LDO and CWO simultaneously. A baccalaureate degree is not required, however, it is encouraged. Leadership ability, military qualifications, and technical expertise remain the key factors leading to selection. Must be a Chief Petty Officer (E-7 through E-9), including E-6 personnel, when notification has been received by the commanding officer that the individual is a selectee for Chief Petty Officer or that advancement to Chief Petty Officer has been authorized and serving on active duty or as a member of the Ready Reserve in a drilling unit (pay or non-pay) for inactive duty applicants. Active duty personnel must have completed at least 12, but not more than 24 years of active naval service (day-for-day) exclusive of Active Duty for Training (ADT) in the Naval, Marine Corps, or Coast Guard Reserve as of 1 October of the year application is made. Inactive duty (reserve) personnel must have completed at least 12, but not more than 24 years of total qualifying Federal service as of 1 October of the year application is made. Total qualifying Federal service for the purpose of this instruction is defined in Title 10, U.S.C., Section 12732 as time served with a component of the naval service. In computing, the qualifying service eligibility requirement for Ready constructive time cannot be credited. U.S. citizenship is required and cannot be waived. Must be of good moral character and have no record of disciplinary action under Article 15, no courts-martial conviction or civilian felony conviction, or conviction by a civil court for misdemeanors (except minor traffic violations ($300.00 or less)) in the past 3 years as of 1 October of the year application is made. Any substantiated drug or alcohol abuse within the last 3 years as of 1 October of the year application is made will result in disqualification. Must be a high school graduate or possess an equivalency certificate. Must be physically qualified for appointment per the physical standards outlined in the Manual of the Medical Department, Chapter 15. Must meet physical fitness standards of satisfactory-medium or higher per OPNAVINST 6110.1 at the time of application and appointment. Must not exceed High Year Tenure (HYT) requirements. Active duty personnel serving in Humanitarian/ (HUMS) or Limited Duty (LIMDU) assignments will not be permitted to accept their commission until the situation is completely resolved. Inactive duty personnel serving in Not Physically Qualified (NPQ) or Temporarily Not Physically Qualified (TNPQ) status will not be permitted to accept their commission until their status is completely resolved. Favorably recommended by their commanding officer. (Inactive duty applicants must be favorably recommended by their unit commanding officer). Surface and submarine warfare communities require CWOs with the same or similar occupational qualifications. Candidates need not possess a particular warfare qualification to apply for a CWO designator in that particular community. Obviously, not every enlisted rating is competitively qualified for designations within different warfare communities, and application should not be made for an inappropriate category, e.g., a Gunners Mate (GM) should not normally apply for 726X, Ordnance Technician (submarine), but rather should apply for 716X, Ordnance Technician (surface). Commanders will appoint a panel of commissioned officers to interview the applicant and review the applicant's qualifications. The panel will prepare a recommendation/non-recommendation for the commander's review/approval. Commanding officer's recommendation (prepared as a result of the panel) should include information concerning the member’s military and professional performance, degree and scope of technical competence and supervisory ability in present rating, potential to perform as a commissioned officer, and ability to accomplish officer technical management and specialist functions of the programs and categories requested. Only those individuals who have clearly demonstrated sustained superior performance, outstanding leadership abilities, and the potential to serve as commissioned officers should be recommended for these programs. A candidate must receive a favorable endorsement from the commanding officer (unit CO for SELRES personnel) to be eligible to apply to become a CWO. If a commanding officer feels an individual is not qualified for CWO, the commander will not forward the package. Individuals not receiving a favorable endorsement are to be counseled on what they need to do to improve their records to ultimately receive a favorable endorsement. 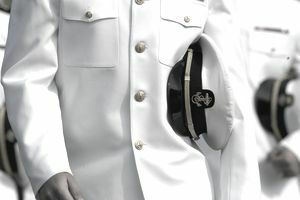 Separate selection boards (one for active duty and one for inactive duty) meet at the Navy Personnel Command annually to consider applicants for the active duty and inactive duty CWO programs. Selectees will be appointed as CWO only if they continue to meet all eligibility standards as specified previously. The appointment of each selectee will be to the permanent grade of CWO2, except active duty personnel in pay grade E-9, who have completed at least 2 years Time in Grade (TIG) as of 1 October of the year in which the board convenes, shall be appointed CWO3. Example: If E9 applies for FY-03 board and has 2 years TIG on 1 October 2002, the service member shall be appointed to CWO3. Active Duty selectees must agree to remain on active duty for a total of 4 years from the date of acceptance of appointment and may be required to transfer from current duty location. Selectees under the inactive duty program must continue serving in the Ready Reserve until the appointment is tendered. Upon acceptance, each selectee must agree to remain in the Ready Reserve for a period of 3 years from the date of acceptance of appointment.